St Mary's was built by architect James Gibbs for Sir John Astley in 1744. 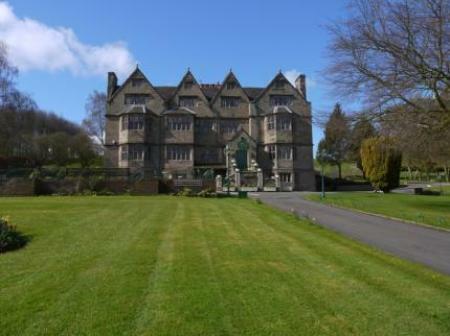 Gibbs also built the nearby manor house. In 1874 the church was expanded by adding a north aisle, belfry, and dome. From the exterior, it presents a very Italian neo-classical appearance, with a restrained west tower surmounted by a cupola and roundel windows in the tower and over the classical south portico that serves as the main entrance. The interior boasts some very nice memorials to members of the Astley family, dating primarily from the 16th and 17th centuries. The most imposing is probably that of the founder, Sir Thomas Astley, which features recumbent effigies of the deceased and his wife. Another striking Astley monument shows Sir Richard Astley leading a squadron of horsemen, flanked by seated figures of his two wives. 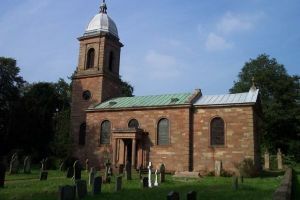 The church is no longer used for regular worship and is in the care of the Churches Conservation Trust - at present it is the only church in Staffordshire in the care of the CCT.